I grew up in a tea-loving family. My parents have a tea drawer in the kitchen and I, the only tea drinker in my apartment, have enough tea to fill a drawer of my own. We don’t mess around when it comes to a good cup of tea. I didn’t try coffee until I was a junior in college and was studying abroad (Europeans know how to do coffee), and even now that I drink a few cups of coffee a week, I will always reach for tea if I want to really enjoy a relaxing hot beverage. Earl Grey scones and Earl Grey buttercream have appeared on the blog, so it was only a matter of time before my favorite tea appeared in a cookie. 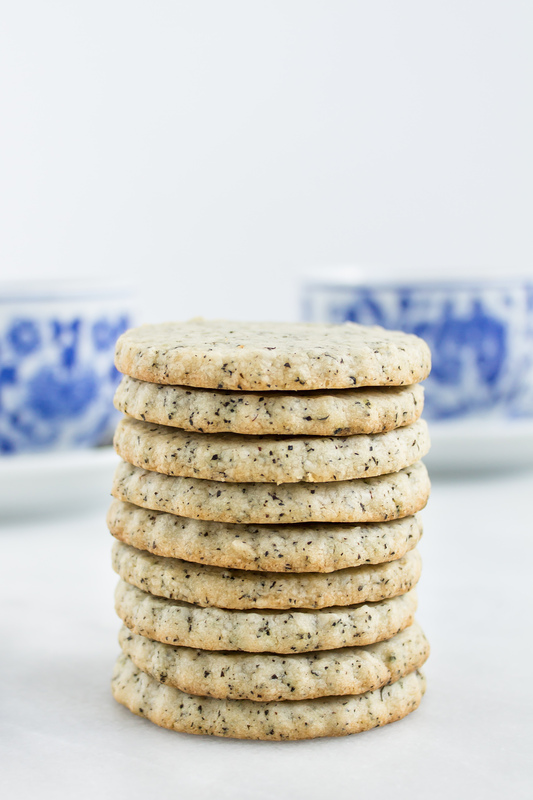 I make a lot of cookies, but have to say, Earl Grey shortbread cookies are one of my new favorites. They are simple, but so delicious. They seem fancy, but with just six ingredients and one bowl, they are a cinch to throw together. The sweet, Earl Grey scent wafting from the oven makes the entire kitchen smell like a dream and the cute tea-flavored shortbread cutouts just seem like such an elegant treat. I’m having a hard time convincing myself that I don’t need to make another batch right now. 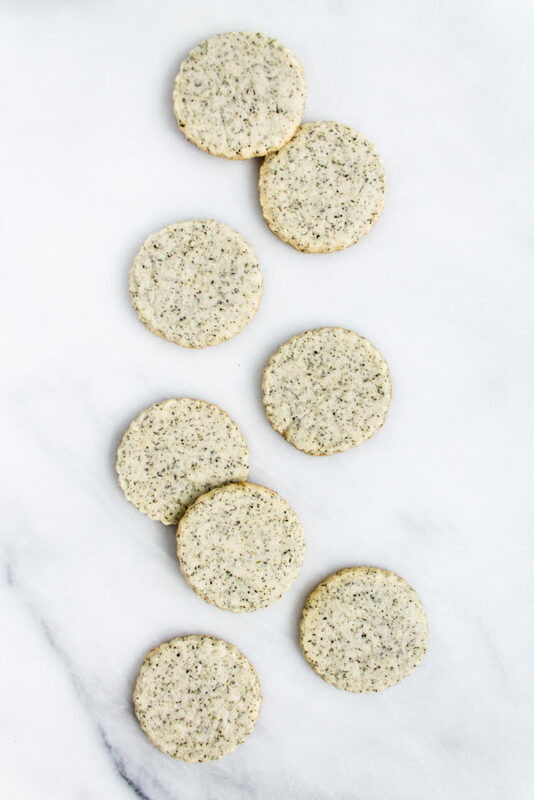 Classic, buttery, crisp shortbread cookies are infused with citrusy black Earl Grey tea leaves for a texture and true Earl Grey flavor fit for even the Queen herself (but let’s invite Kate and Meghan while we’re at it). 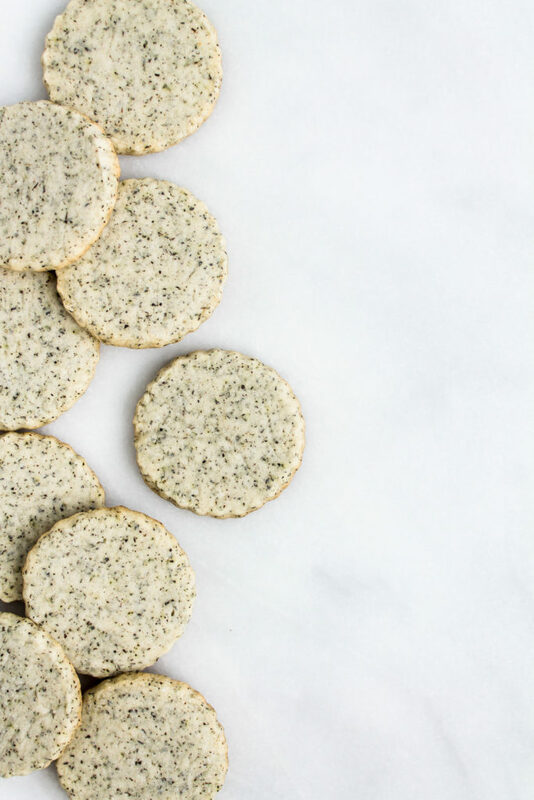 They are great on their own for snack, or if you are really feeling into the theme, pair them with your afternoon tea. 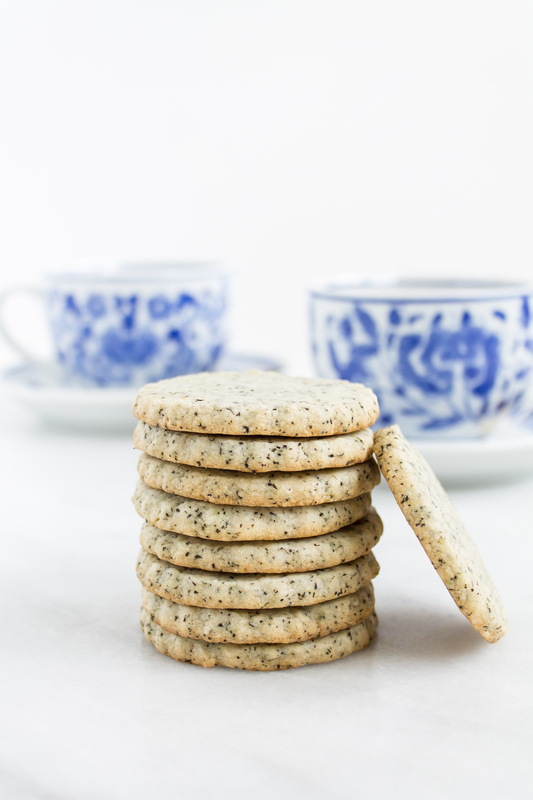 Because if you are having afternoon tea and cookies, you are really doing it right. 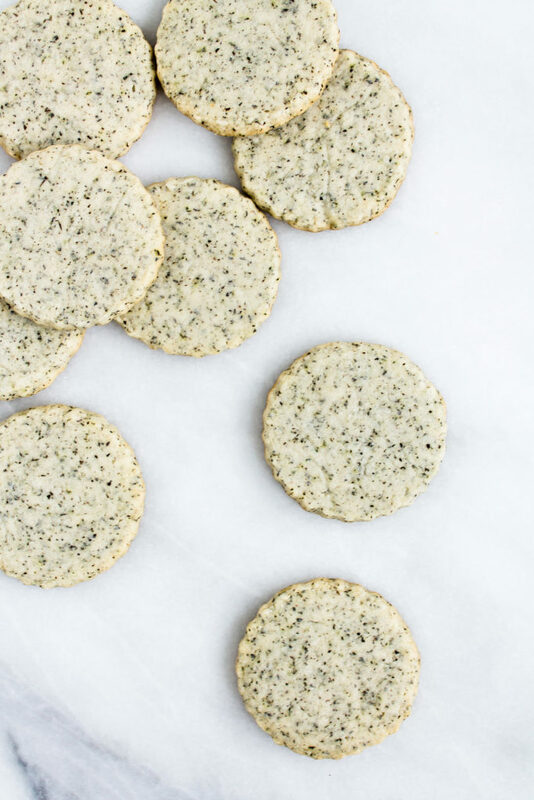 Because this recipe calls for 1/4 cup of tea leaves, the flavor of the tea really stands out in these cookies. 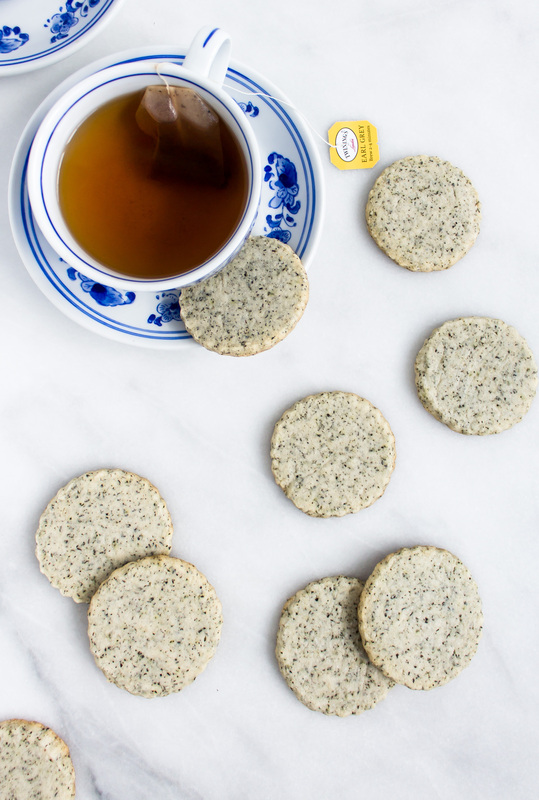 I recommend using tea that is good, to give the cookie good flavor, but not the fanciest, since we will need so much of it. 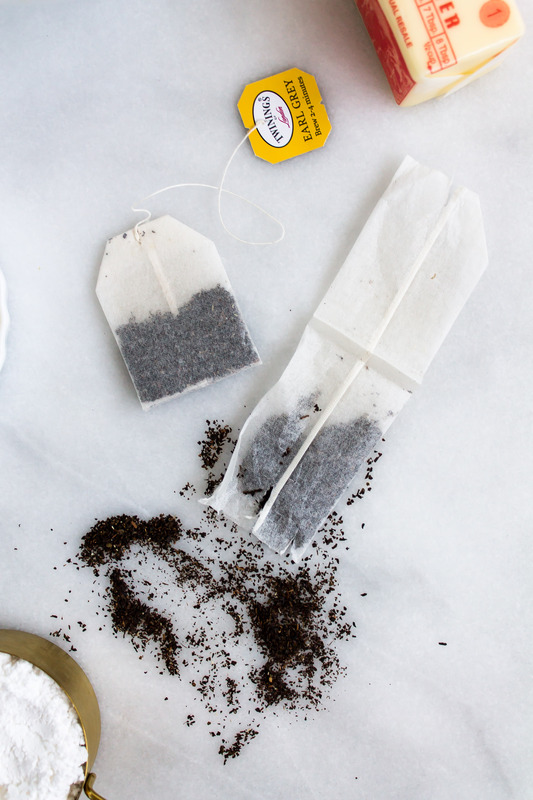 I tested this with Twinings, which is reasonably priced, tasty, and easier to find. 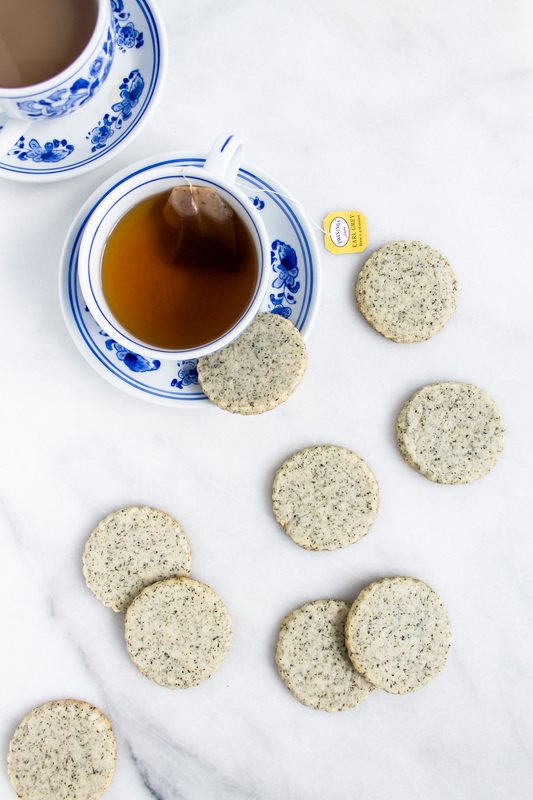 I find that fancier teas (Harney and Sons, Kusmi, etc) can be stronger, so if that is what you have on hand (lucky you, tea connoisseur), you may want to decrease the amount of loose tea you include. If you make these cookies be sure to tag me on Instagram @hopehwoodhouse so I can see! I love living vicariously through your baking! 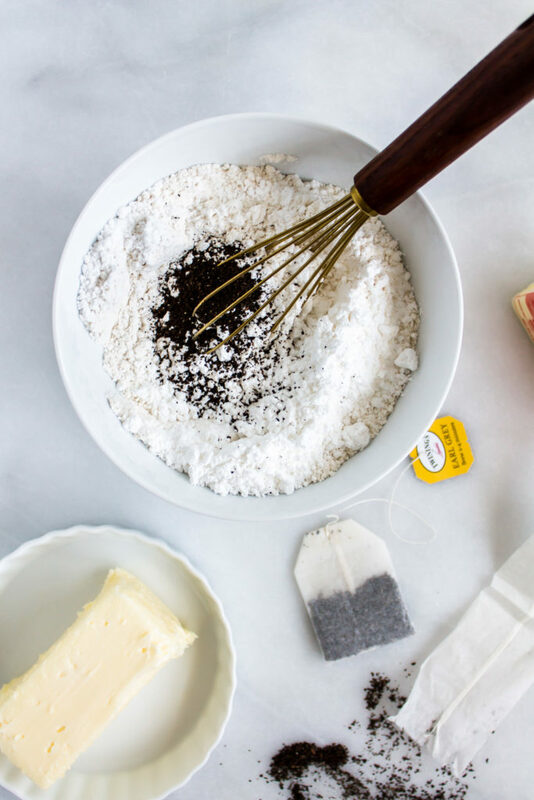 In the bowl of your stand mixer, combine the flour, powdered sugar, baking powder, salt, and tea leaves. Add the softened butter to the bowl and mix on low just until all of the butter is incorporated and you cannot see any of the dry ingredients. It is important that your butter is soft for this step. Once all of the ingredients are fully incorporated and the dough has come together, roll it into a ball and flatten the ball into a disk. 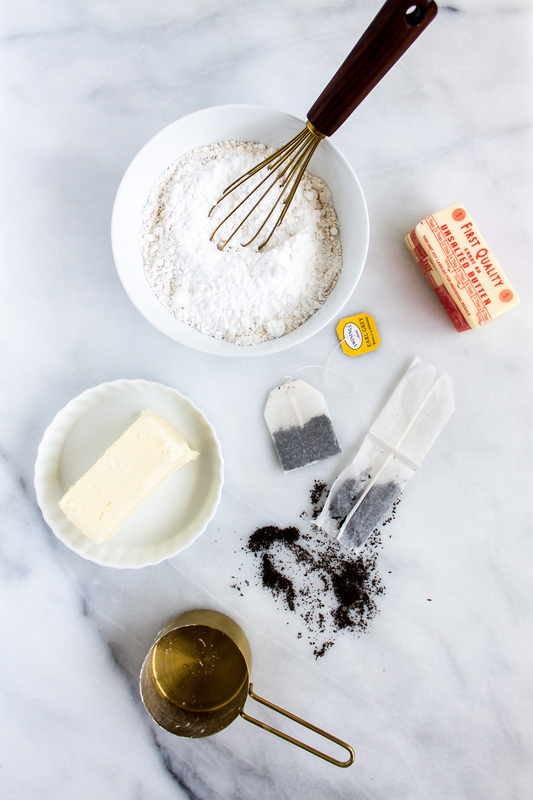 Wrap the dough in plastic wrap and refrigerate for 30 minutes, or until the dough is stiff and doesn’t stick to your hands as easily. 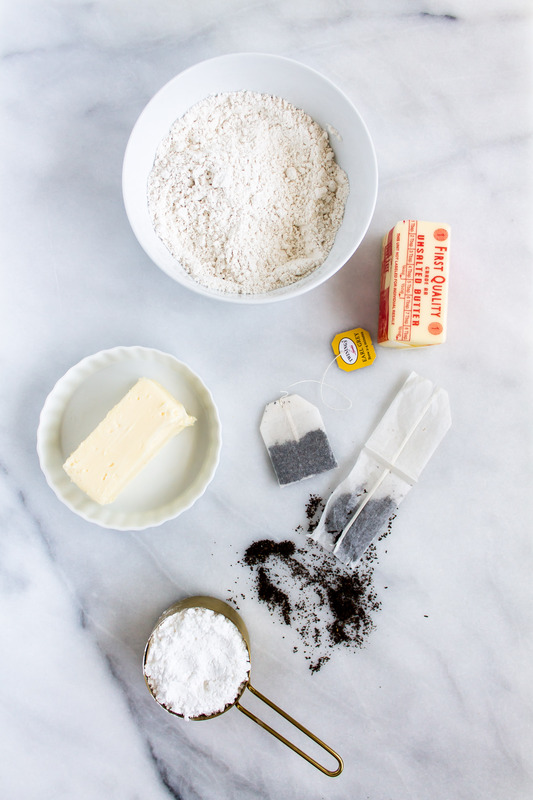 Line a baking sheet with parchment paper and preheat the oven to 325 degrees F. Roll out the dough on a floured surface (or on top of your plastic wrap, as I like to do) to about ¼-inch thickness. Use a cookie cutter to cut shapes, then transfer them onto your prepared pan. 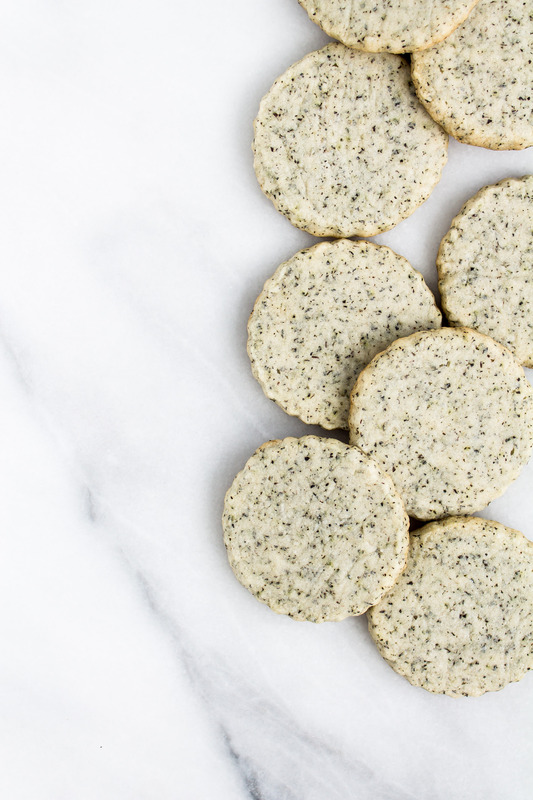 The cookies will spread a little, so leave a few inches between them. Reroll the dough and repeat until you have used all of it. 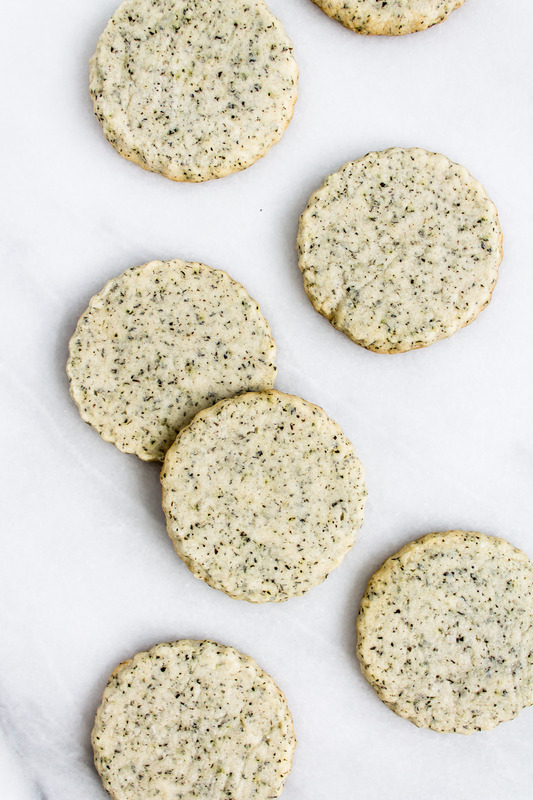 Bake for 10-15 minutes, or until the cookies are barely golden around the edges. These sound amazing! I come from a tea drinking family too, the kettle is always boiling in our house!